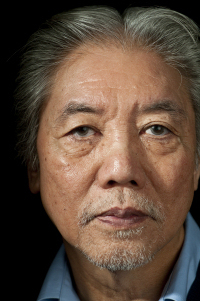 Wayson Choy wins Harbourfront Festival Prize, awarded for "a substantial contribution to the world of books and writing." Framed by Wayson Choy’s two brushes with death, Not Yet is an intimate and insightful study of one man’s reasons for living. In 2001, Choy suffered a combined asthma-heart attack. As he lay in his hospital bed, slipping in and out of consciousness, his days punctuated by the beeps of the machines that were keeping him alive, Choy heard the voices of his ancestors warning him that without a wife, he would one day die alone. And yet through his ordeal Choy was never alone; men and women, young and old, from all cultures and ethnicities stayed by Choy’s side until he was well. When his heart failed him a second time, four years later, it was the strength of his bonds with these people, forged through countless acts of kindness, that pulled Choy back to his life. Not Yet is a passionate, sensitive, and beautiful exploration of the importance of family, which in Choy’s case is constituted not through blood but through love. It is also a quiet manifesto for embracing life, not blind to our mortality, but knowing how lucky we are for each day that comes. 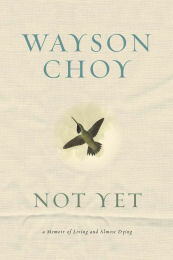 Like Calvin Trillin’s Ask Alice and Joan Didion’s The Year of Magical Thinking, Wayson Choy’s Not Yet tells a unique but universal story of the importance of human relationships to our very survival.